by Nancy Tillman ; illustrated by Nancy Tillman ; developed by Auryn Inc.
A digital adaptation of the New York Times best-seller. 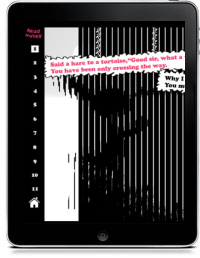 The iPad version of Tillman’s popular picture book has a lot going for it. 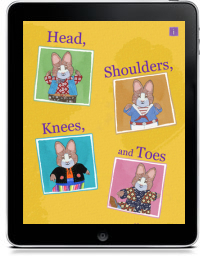 First and foremost, her lush illustrations shine on the tablet screen. Second, Auryn, a developer that’s known for turning out unique, inventive storybook apps, is at the technological helm. They have embedded so many interactions, in fact, that they might overwhelm readers. For example, there are options to record a voice-over of the entire story or provide personalized, page-by-page “whispers” for the moon to utter, but the setup for the latter is rather cumbersome. Kids will love hearing characters occasionally speak their names (which are recorded at the outset). But when the software changes the vocal frequency for various animals, at times it sounds eerily similar to Darth Vader. Still, Auryn hits it out of the park when swarms of birds, ladybugs and glowing lanterns rise to spell out the child’s name. It’s spectacular. And there are other cool components, such as a scrapbook feature that allows for the storage of up to six homespun videos. Advancing pages is counterintuitive (the compulsory index scrolls upward) and exceptionally slow, if also extremely beautiful in the transitions.